Wash your legs before entering the temple. Enter the temple through the main entrance only. Always enter the temple by placing your right foot first. Ladies are requested not to enter the temple wearing Nighties / Middies. Gents are requested not to enter the temple wearing Lungies, Bermudas, Socks and Caps. Ladies should avoid visiting the temple for specific number of days when they are forbidden. Do not carry the items for Pooja / Archana using the left hand. 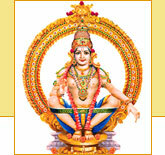 Please obtain receipt for all the Sevas performed and also for the contribution made in cash & kind. Whenever services of our Priests are required for performing Poojas at the residences, kindly contact the Office and obtain receipt for booking the Priests. Do not take home any item that is considered as property of the temple. Use of Mobile Phones inside the temple is strictly prohibited. Please switch off your mobile before entering the temple. Do not enter into any private discussions inside the temple and disturb other devotees.